The solution is the first of its kind in the market. We have developed it in close collaboration with Bekaert, the leading global wire producer. 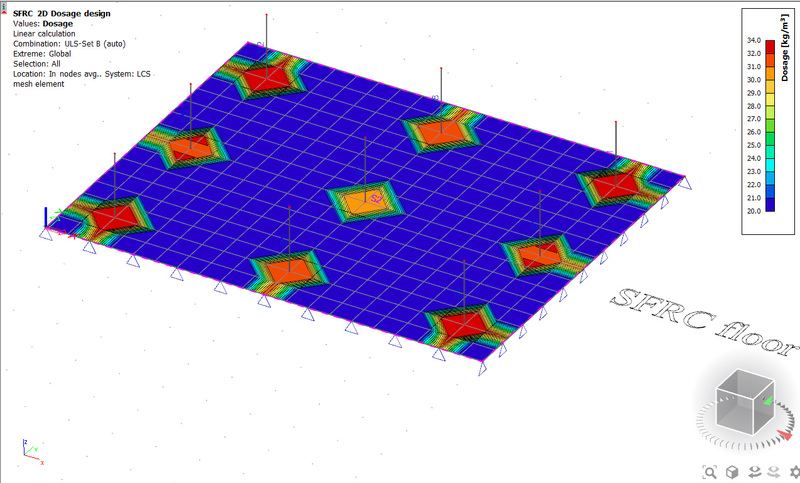 And we are very excited that with SFRC, we are extending the array of possibilities you have for designing concrete floors and enabling you to realize the benefits of using the material in your designs. Why steel fiber reinforced concrete? SFRC is an excellent alternative to traditional reinforced concrete for specific applications, such as civil engineering structures (including bridges), structural rafts, concrete roads, underwater concrete, among others. Steel fibers are discontinuous, 3-dimensionally orientated, isotropic reinforcements mixed into the concrete. They bridge cracks at very small crack openings, transferring stresses and strengthening the post-crack in the concrete. Reduced absorption of water, chemicals, etc. SCIA Engineer 18 will support three types of Bekaert's Dramix® steel fibers. The material library for these fiber types is built into the software, so you can quickly pick the fiber type you want to use in your design. The material library can be expanded, and the values can be edited, enabling you also to add and work with other SFRC material. Today, more than 1 in 3 square meters of industrial floors in Europe are designed with steel fiber reinforced concrete and the demand to use the material will continue to rise. The material will be included in Eurocode 2020. And you can already start using it very soon! Look out for more information about the SCIA Engineer 18 release in the next eNews. You can also register today for the upcoming webinar on all what's new in SCIA Engineer 18. Missed the last eNews article about the three user-selected enhancement that we are delivering in SCIA Engineer 18? Click here to learn more.